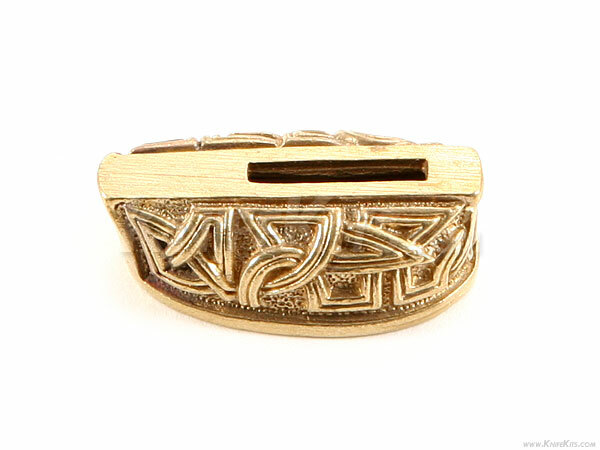 This guard features a celtic motif engraved on the side surfaces. It can be adapted to complete a hidden tang custom knife design by slipping over the tang of the knife. This model features a pre-cut slot, which can be easily modified for proper tang fit. It also offers a deep slipover cavity for versatile handle fitting. This is a very high-quality, hand cast part! 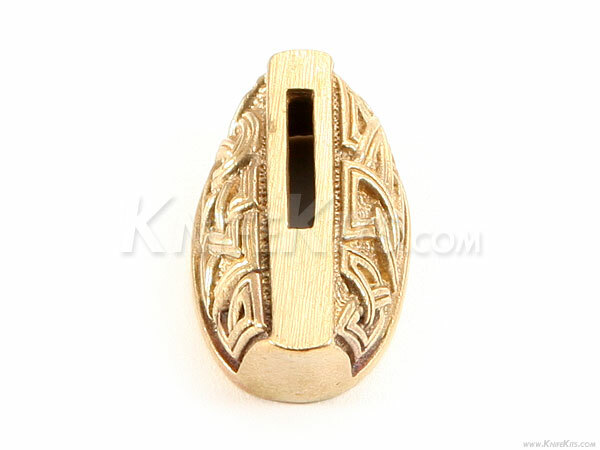 Slot - 0.575" x 0.085"